Here is a pic of the gauge. 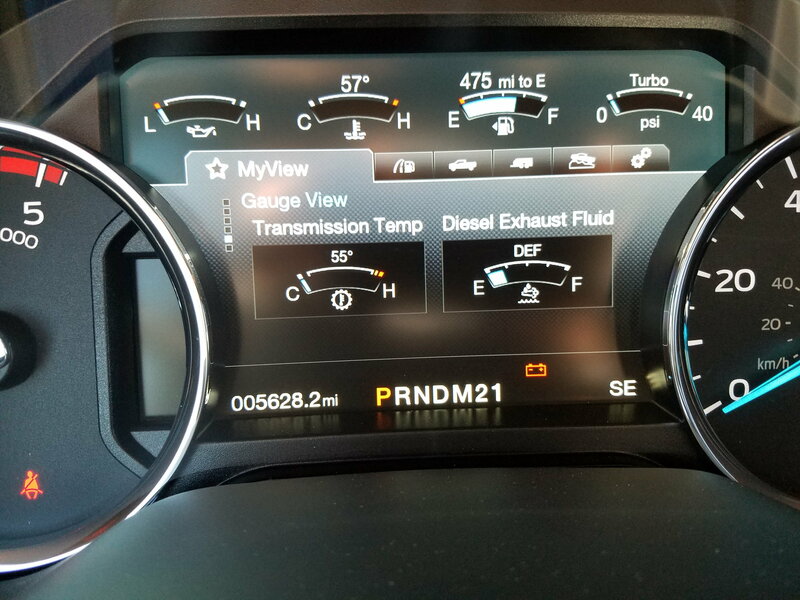 5600 miles on the truck, no DEF added so far. I'll drive it until the countdown starts, see how much it takes at that point and where the gauge is for future reference. Finally got the DEF 500 miles indicator. Was 200 miles after this pic, so about 1/8th of a tank left of DEF remaining after 5800 miles. Took 2x2.5 gallons jugs plus about 1.5 of the third jug so 6.5 gallons total. The Ford filler makes it easy, it's cheap, and no overflow/spillage.